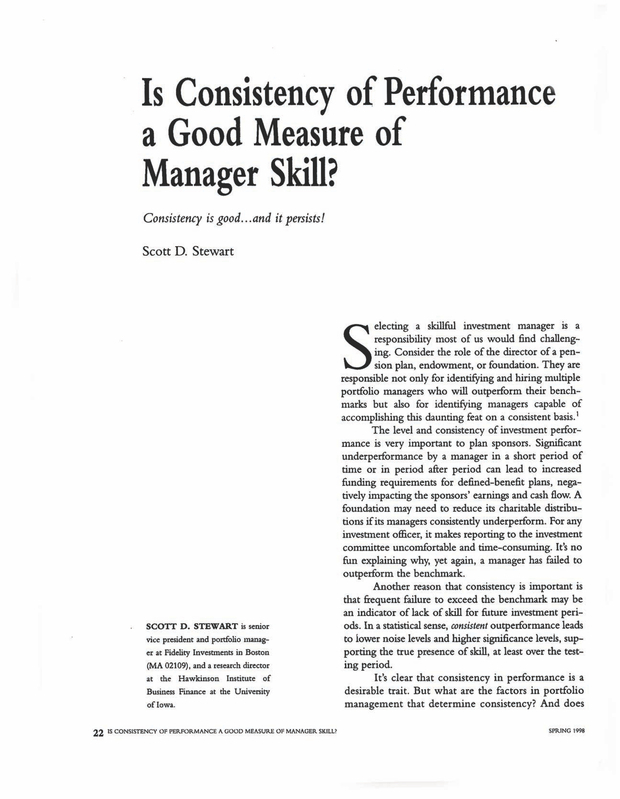 Is Consistency of Performance a Good Measure of Manager Skill? Senior Vice President and Portfolio Manager at Fidelity Investments in Boston (MA 02109), and a Research Director at the Hawkinson Institute of Business Finance at the University of Iowa. You are going to email the following Is Consistency of Performance a Good Measure of Manager Skill?